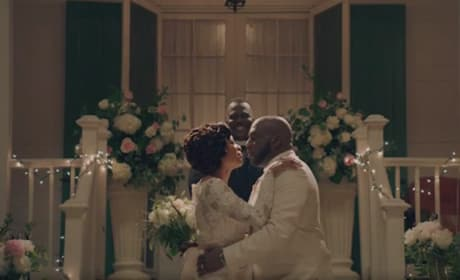 Violet and Hollywood get married in a backyard ceremony with family and friends in attendance on the season 3 finale of Queen Sugar. 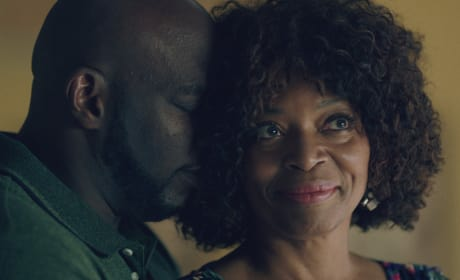 Hollywood and Violet share an embrace on the season finale of Queen Sugar. "From On The Pulse Of Morning" is the 13th episode of the show's third season. 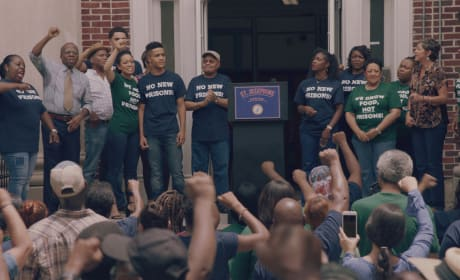 Nova stands up with her community against the new correctional facility on Queen Sugar. "From On The Pulse Of Morning" is the 13th episode of the show's third season. 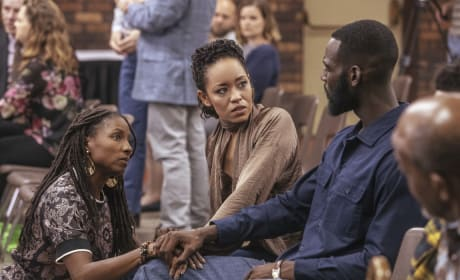 Charley sits down with Frances Boudreaux once again on Queen Sugar. "From On The Pulse Of Morning" is the 13th episode of the show's third season. The community comes out to fight the new correctional facility on Queen Sugar. "From On The Pulse Of Morning" is the 13th episode of the show's third season. 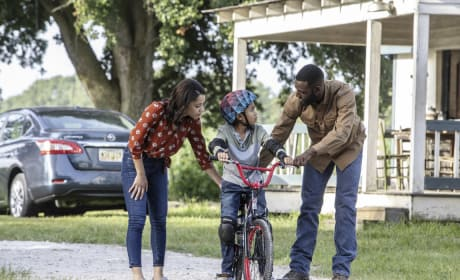 Darla and Ralph Angel teach Blue how to ride a bike on Queen Sugar. "The Horizon Leans Forward" is the 12th episode of the show's third season. The council members vote on building the correctional facility in St. Josephine on Queen Sugar. "The Horizon Leans Forward" is the 12th episode of the show's third season. 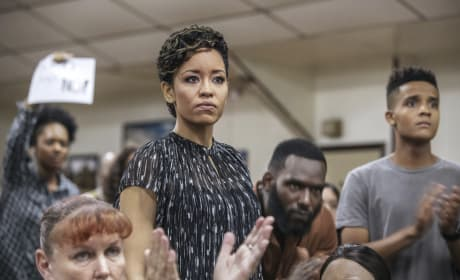 Charley comes clean with her secret on Queen Sugar. "The Horizon Leans Forward" is the 12th episode of the show's third season. 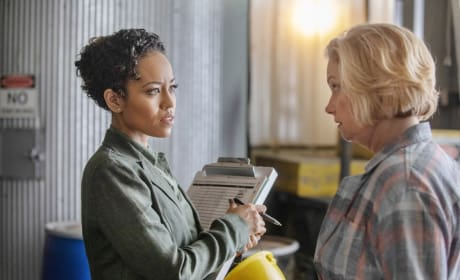 Vicki has news for Charley on Queen Sugar. "Your Passages Have Been Paid" is the 11th episode of the show's third season. 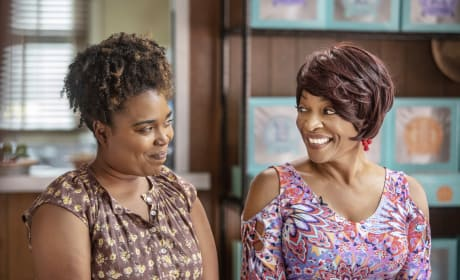 Rhonda and Violet are interviewed for TV on Queen Sugar. 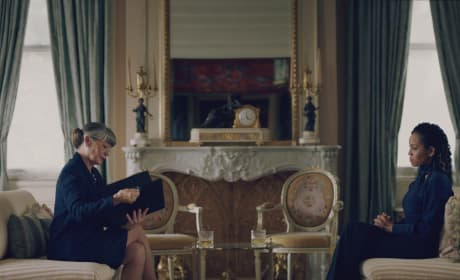 "Your Passages Have Been Paid" is the 11th episode of the show's third season. 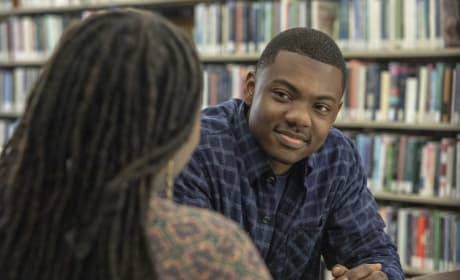 Charley heads to Micah's school to confront him about recent events on Queen Sugar. 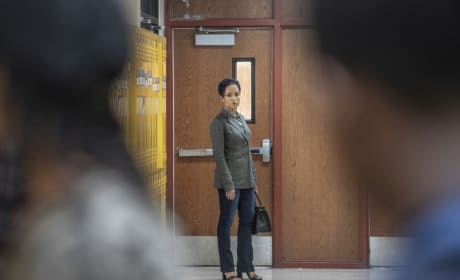 "Your Passages Have Been Paid" is the 11th episode of the show's third season. 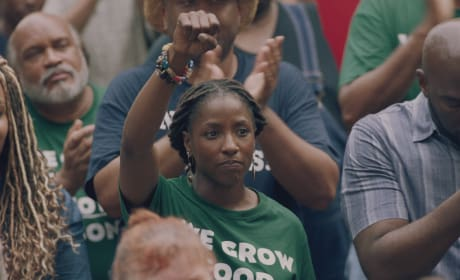 Nova visits Too Sweet to make a confession on Queen Sugar. "Your Passages Have Been Paid" is the 11th episode of the show's third season.